If you asked me a year ago what kind of internship I hoped to have during the summer before my last year of college, my answer would be drastically different than it is today. A year ago, I would have quickly mentioned the names of the Big Three consulting firms, some tech giants and some large companies from the financial sector as my top choices. My response would have been typical for a business undergrad at my school. In fact, I felt encouraged by my peers and professors to seek out an internship at the most prestigious companies possible. As I networked with students who had gone through brand-name internships, I quickly realized that the greatest benefit most of those students received from their internships was the ability to leverage the brand equity of the company on their résumé. I believed that I needed a brand-name internship to validate my successes as a student and to launch a great career. But while building the brand equity of my résumé sounded great, I wanted an internship with the opportunity to gain valuable, hands-on experience, so I looked into other possibilities. A friend had invited me to consider moving to the Bay Area for the summer to intern for a small tech startup who made graph databases (something I knew nothing about), and he wanted me to join their demand generation team (something else I knew little about). With some persuasion, I chose to join Neo Technology because I knew I would gain valuable experience within a growing company. Joining a small team within a growing company allowed for my work as an intern to make an impact. Things change quickly at Neo, and all employees are expected to take ownership over these changes. My role has changed over the course of a few months as I’ve stepped in and taken ownership of some of the changes. Startups like Neo Technology move quickly and provide learning opportunities at a fast pace (should you choose to keep up). Throughout the summer, I’ve reached out to many employees at Neo for career advice. The people here at Neo possess diverse backgrounds in education, work experience, nationality and life experiences. Each individual has a different story and each person has taught me something unique. The career advice I’ve received has given me a better perspective about directing my own career path. Trust is at the core of all interactions at Neo. Employees trust one another to be outstanding, even when nobody’s watching. Combine the value of trust with a mixture of Swedish roots and tech culture, and you get a very unique work environment. And it’s awesome. One key difference between graph databases like Neo4j and other databases is that relationships are treated as first-class citizens. At Neo, this extends much beyond databases: I have been treated as a “first-class citizen” rather than just an intern. This company principle has been empowering for me and has increased my motivation to contribute additional value for my team and for the company as a whole. While I didn’t end up choosing a name-brand internship, I did end up with valuable experience and a continuing role at Neo. So, if you’re looking for an internship in tech and you want to gain some valuable experience, let’s talk. Feel free to reach out to us and let us know why you’re interested in working for Neo Technology. It will definitely be worth your time. Interested in working for Neo Technology and spreading the word about graph databases? Click below to check out our Jobs page and let us know why you’re a perfect fit for the Neo4j graph. 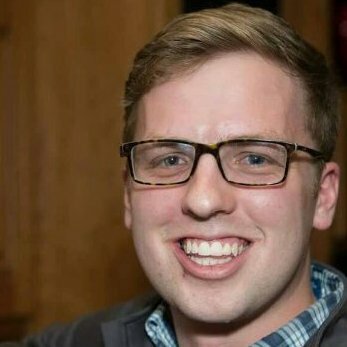 Trey Knowles is the Startup Community Manager at Neo Technology and a member of the demand generation team. He studies business strategy at the Marriott School of Management at Brigham Young University and will graduate in April 2016. In the few spare hours not spent working with startup graphistas or finishing assignments for school, you can find Trey in the outdoors hiking, camping and playing pickup sports. It’s wonderful that you can recognize what you have gained from your experience at Neo.